A new documentary well worth the watch. ​Nothing new here for anyone aware of ground zero in Palestine or has been awake the past 50 years, but footage of some heart-wrenching scenes reminds us all that there are real people behind the daily headlines and statistics. [ePalestine] Haaretz: What Are Old Photos and Films of Palestinians Doing in the IDF Archive? What Are Old Photos and Films of Palestinians Doing in the IDF Archive? From her [Dr. Rona Sela, a curator and researcher of visual history at Tel Aviv University] point of view, the systematic collecting of Palestinian visual materials in the IDF Archive "makes it possible to write an alternative history that counteracts the content created by the army and the military archive, which is impelled by ideological and political considerations." 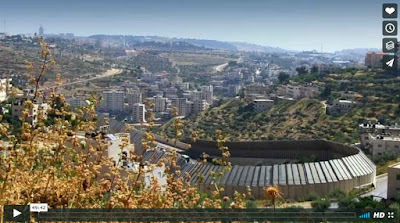 In the material she found in the army archive, she sees "images that depict the history of the Palestinian people and its long-term ties to this soil and this place, which present an alternative to the Zionist history that denied the Palestinians' existence here, as well as their culture and history and the protracted tragedy they endured and their national struggle of many years." (and not as previously advertised). Please reserve tickets in advance. A MUST ATTEND for sure, if one has access to Tel Aviv.